OAKLAND, CA—Calmly reiterating to the incredulous Oakland Raiders running back that they were looking out for his best interests, doctors warned Marshawn Lynch Wednesday that the next time he goes into Beast Mode could kill him. 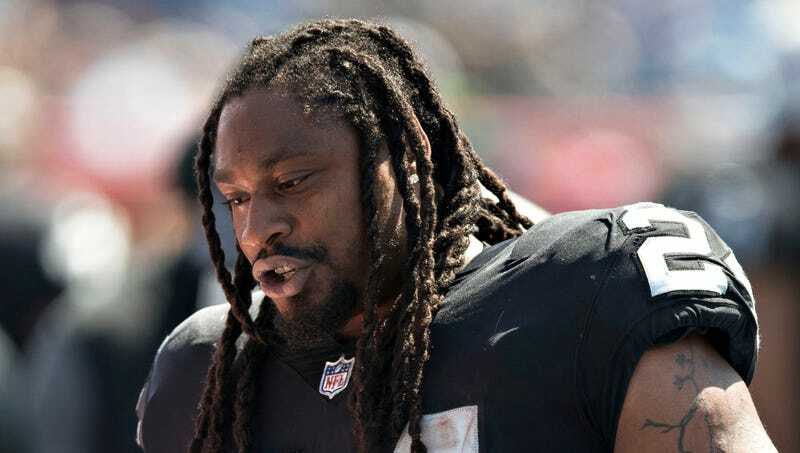 “Marshawn, I know you’ve gone through most of your Beast Modes without incident, but now that you’re on the wrong side of 30, your body is screaming for you to stop,” said Raiders team doctor Warren King before attempting to comfort Lynch after the running back broke down into tears while assuring doctors he felt perfectly fine going into Beast Mode. “I know it may seem drastic, but every time you go into Beast Mode, you bring yourself one step closer to paralysis or even death. Marshawn, is Beast Mode really worth that much to you?” At press time, Lynch’s family and friends reportedly began organizing efforts to show the depressed running back that he can live a full life after Beast Mode.